It is possible in EH to search for all articles and books written by a particular author. 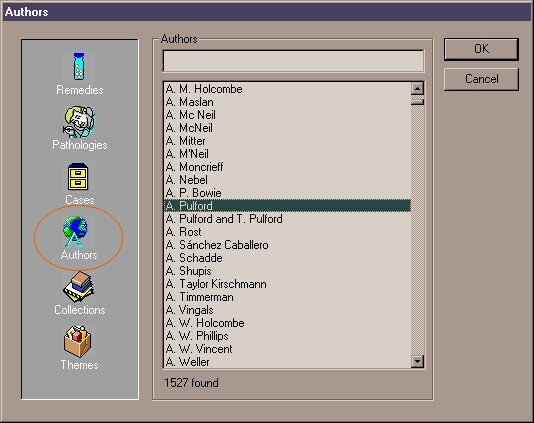 In the Welcome Window you see a list where you can search for an author by typing the first letters of his/her last name. If there is doubt about the name, first type an asterisk, then the letters of the name. This will show all names, middle names and first names starting with these letters. For example: "*berno" will find articles written by "Fortier-Bernoville".